The coaching hot seat list is clearing out. First it was Aron Winter, then Peter Nowak, and now it is John Spencer’s turn at getting the pink slip. Current General Manager Gavin Wilkinson, who coached the Timbers during their USL days, will reportedly serve as interim coach and the team will search for a permanent replacement during the offseason. The Timbers are currently 5-8-4 and in second-to-last place in the Western Conference. The Timbers were 5-2-2 at home this year, but just 0-6-2 on the road. Overall he recorded a record of 16-22-13 – not exactly something to write home about. 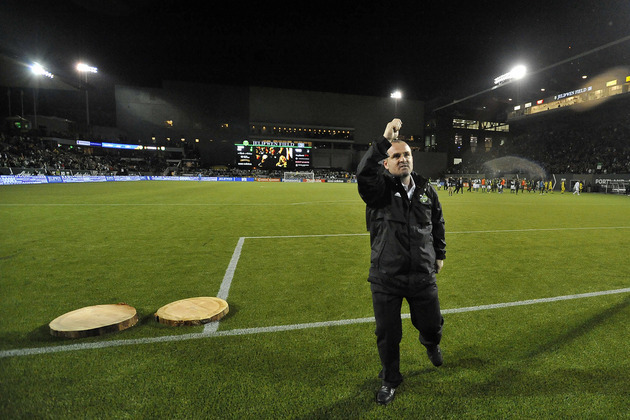 The most concerning point for some came earlier this season when the Timbers were knocked out of the US Open Cup by an amateur side, Cal FC, in front of the home crowd at JELD-WEN Field. Two recent road results in Colorado and Salt Lake likely sealed his fate. Under Wilkinson’s guidance, the Timbers were relatively successful in the USL. He went 50-29-39 over four seasons that included a first-place finish in the 2009 regular season. The only problem is, Wilkinson was probably more involved with player acquisition than Spencer. And my feeling is that he is less of a coach than Spencer. My prediction: Portland blazes out of a playoff spot and Wilkinson rightfully is also shown the door this offseason.